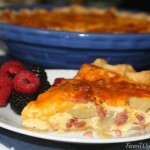 Are you looking for a quiche recipe that will win over the meat and potato lovers in your life? Look no further! 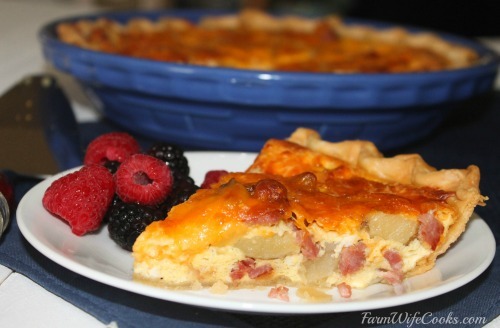 This Ham, Potato and Cheddar Quiche is an easy meal that would be perfect for a brunch and yet it is hearty enough to be served for dinner. I love a good quiche recipe but always got that look from my husband when I would make one. You know the look! Quiche has gotten a bad rap and is often thought of as something you would serve to a bunch of ladies at a tea or brunch. While I am all for that this recipe won over the heart of my meat and potato loving husband and changed his opinion about quiche! Might just work for you too! 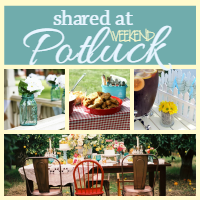 Indiana peeps I have something really exciting to share with you! 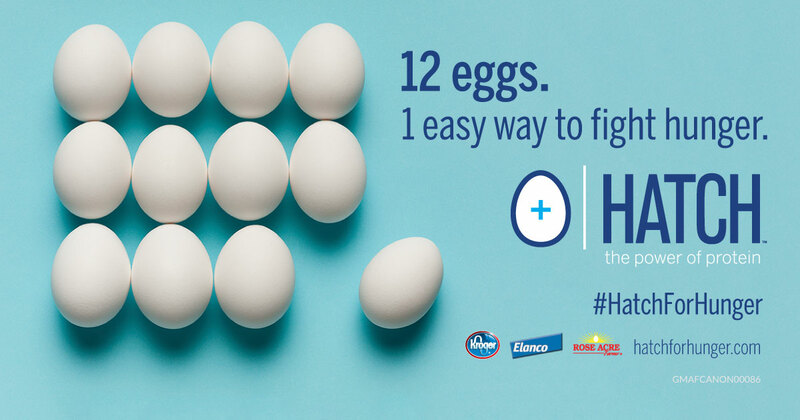 From now until June 20th for every carton of Kroger Brand Medium size eggs that are bought at participating Kroger stores, HATCH will donate an egg to a local food bank! When you think about the population of central Indiana – if every person bought one carton of these eggs it would REALLY add up to make a difference! You can find the participating Kroger locations here. Protein is one of the most basic and important nutritional needs in our diet but is often hard to come by for those who are food insecure. Food banks don’t often receive egg donations and HATCH is setting out to fix that by working with local egg farmers and food banks through this program. FACT: 1 egg is equal to half the protein a child needs in their diet a day. Such an easy an awesome way to give back! I know what you are thinking, I too have always bought large eggs and most recipes call for large eggs. No problem! It’s easy to substitute. When baking and the recipe calls for 3 or less eggs use the medium eggs as if they were large. You don’t really need to add another egg until the recipes calls for 4 or more large eggs. 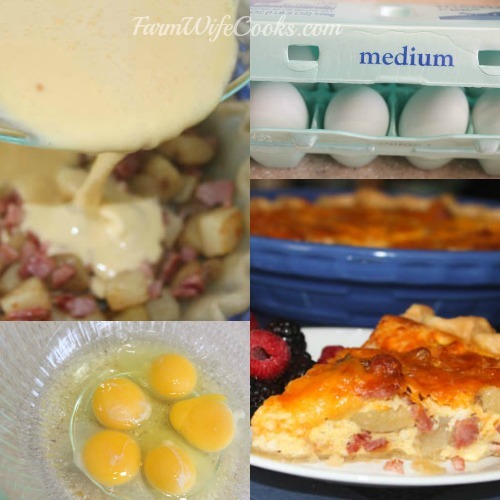 This recipe is a perfect example, I would normally use 4 large eggs but modified it and used 5 medium size instead. If the recipe called for 5 I would use 6 and so on. A couple more things on the quiche. I love to find ways to simplify cooking so here are a couple suggestions. Leftover ham would work great for this recipe. Depending on time I may or may not peel the potatoes, you know who your cooking for and whether you can get away with that or not! If not, fell free to use a can of diced, peeled potatoes. It will save a bunch of time! You could also boil your diced potato in the microwave to save time too! The Longaberger Pie Plates are my absolute favorite pie plates. Pierce the sides and bottom of pie crust with a fork. In a large skillet over medium-high heat, cook potato and ham in oil for 5 to 10 minutes, until golden. Transfer potato mixture to pie crust. In a bowl, whisk together eggs, half-and-half and seasonings. Pour egg mixture over potato mixture in crust. Bake, uncovered, at 350 degrees for 45-50 minutes. If edges of crust brown too quickly, cover with strips of aluminum foil. I originally shared this recipe on my other blog, Two Maids a Milking. It’s too good not to share here too! The original recipe came from the Gooseberry Patch Game-Day Fan Fare Cookbook. Can you mix the cheese in with the eggs? Or do you have to sprinkle on top? You can mix it in or put on top. Yes you can dilute it half whipping cream and half milk. Enjoy! Hello and and thank you for your recipe. I wanted to ask your opinion on the crust. Will any type of crust work PRN is there a specific type needed? thank you in advance.